“Captain America: The Winter Soldier,” “Iron Man 1 & 3,” and “Guardians of the Galaxy” are pretty much the epitome of the always nerdy sounding Marvel Cinematic Universe. 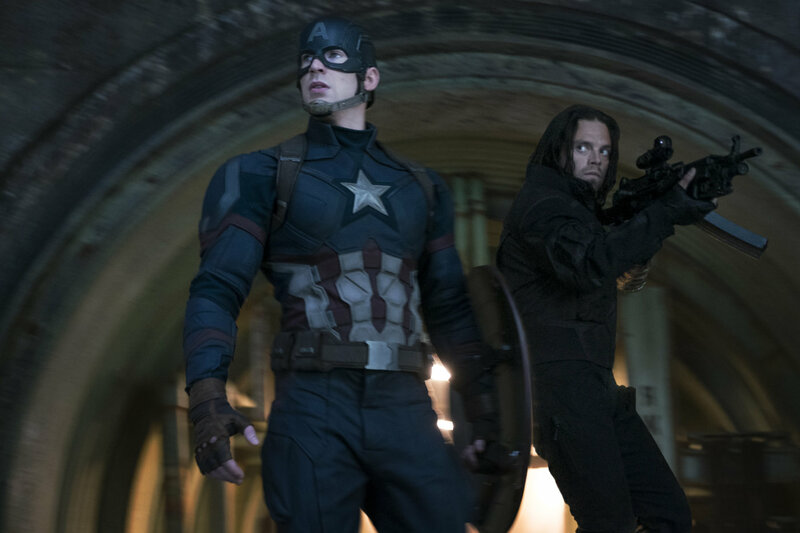 Some would say “The Avengers” is one of the best and while it’s completely serviceable, “Captain America: Civil War” feels like the definitive Avengers adventure. It’s been a long road getting here (“Civil War” is the thirteenth) but it was certainly worth the climb. “Civil War” is a Captain America film that finds several members of the Avengers split into two separate political factions. When the Avengers become government sanctioned it sends a rift between Chris Evans’ Steve Rogers and Robert Downey Jr’s Iron Man. For a comic book film with lots of characters, many of them introduced here for the first time, the film handles everything rather nicely and “Civil War” finds a nice pacing as it rages on for nearly two and a half hours of nerdy superhero fun. If I’m being completely honest I think I prefer “The Winter Soldier” by a slight hair because its plot was so surprising since it essentially ended up being a superbly-crafted comic book conspiracy actioner that was heavily influenced by 1970s political thrillers. “Civil War” while it maintains much of the same entertainment value as “The Winter Soldier” doesn’t quite have as strong a personality or identity. It feels more like another “Avengers” film which isn’t necessarily a bad thing. The film’s main villain takes the form of Daniel Brühl’s Helmut Zemo, who’s just a regular guy who seeks vengeance. Turns out he’s somewhat of an avenger himself: he’s hell-bent on destroying the Avengers for killing his family during the events of “Avengers: Age of Ultron.” Also, William Hurt is the Secretary of State who introduces the Sokovia Accords a bill that would make the Avengers accountable and owned by the government. Captain America is severely against it but Iron Man agrees with it and insists they must all be held accountable. Cue the fighting. Trailer for Captain America: Civil War on TrailerAddict.